If you are the admin of a Facebook page, then you can see the analytics of that page in the “Insights” section of Admin Panel. Similarly, now it is possible for checking analytics on Twitter. Earlier this privilege was available for Twitter ad customers only. The new facility is being rolled slowly and it is only a matter of time before it would be available for everyone. How to see Twitter Analytics? The Twitter Analytics product is actually only accessible through the Twitter ad tool. Following is the procedure to see your Twitter Analytics. STEP 2 – Log in with the same username and password you use for the Twitter account for which you would like to view analytics. 1. Timeline Activity – This section measures follows, unfollows, mentions, and engagement with your content. 2. Followers – This section measures long-term follower growth and follower demographics like gender, location, psychographics, and similar Twitter users. 3. 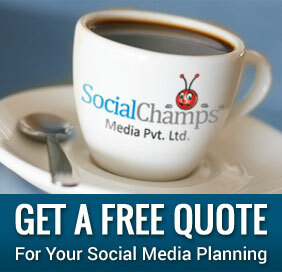 Websites – This section measures total tweets, clicks and engagements of content from your website. This feature requires use of ‘advanced’ Twitter ads. What insights do these features offer? Timeline Activity and Followers do not require any additional or advanced setting, they are more helpful and useful. So let us have a look at the important insights that they offer. Have a look at the “recent tweets” section of the Timeline Activity. You will see little click counts beside any Tweet with a link in it. This link may look insignificant but it is probably, one of the more valuable pieces of data inside of Twitter Analytics. Due to growth of Twitter as a conversational forum, there is more competition to actually get clicks on such links. Under recent tweets, you will see a “Show” section that allows you to sort by “Best”, “Good”, or “All”. The default option here is “All”. Click on “Best” to see your top 15% most engaging tweets. Twitter ranks these tweets by showing messages that got above average favorites, retweets, and/or replies. You can find out at what time of day your tweets got highest number of views, responses and shares. Definitely you should tweet at that time everyday to ensure more engagement with new tweets. The number of people following or unfollowing you keeps on fluctuating. You cannot keep a record of everything. With new feature, you can see how many new follows or unfollows did you gain in a particular week. Mentions are a great metric for tracking what is successful (or not) for generating new followers. A large bump in mentions related to Retweets often correlates with follower growth. You can see the ups and downs of your mentions against follower growth to look for insights here. Twitter Analytics labels which Tweets have a larger audience because of retweets with a multiple, i.e. 2x, 3x, 5x, 10x your normal reach, etc. All of the data in your Timeline Activity is not available for download. You can get full text of your Twitter messages, a timestamp and all engagement counts for each post. Under the “Followers” section of your Twitter Analytics, there is a section devoted to other Twitter accounts that your followers are also following. In terms of audience, these accounts have the most similar audience to yours. This can be very helpful and valuable if you are planning to run Twitter promoted account ads. You can try to target some of your promoted account ads to followers of these similar accounts and test which ones produce the best results. You can see which country or time zone your followers are based in. So you can make tweets or ads that appeal to the country where maximum followers of yours are based in. The topics that your followers are interested in have the potential to give you lots of insights. You can now easily plan your content strategy. 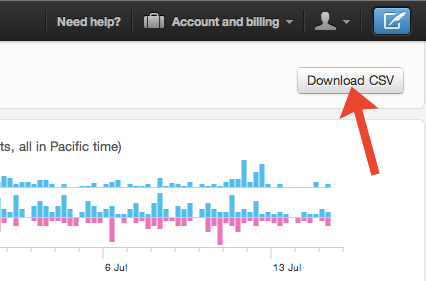 And you can also get insights about your potential targeting data for Twitter ads. With these insights, you can understand your audience and your reach better. With the knowledge of their tastes and interests, you can localize your content. 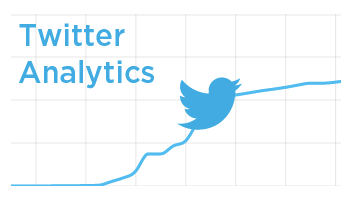 Post your comments and tell us how you plan to use your Twitter analytics and insights.